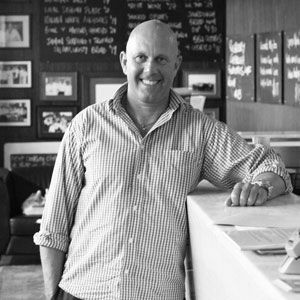 History: The first restaurant I worked at was called Chez Gourmet on Crown Street in Surry Hills. In my earlier years, I also spent a bit of time on a fishing boat and cooking at a seafood restaurant in France. 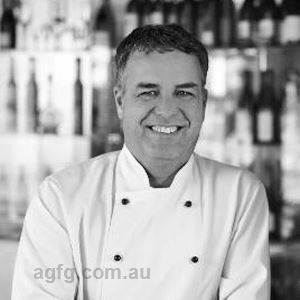 I then traveled and worked in Portugal where I learnt a lot about blending the new and distinct flavours that I had never encountered in Australia before. I came to appreciate the many ways that local produce was used differently from region to region, depending on what was at hand. This and a few remarkable journeys through Asia inspired the style of my food at Fins: peasant food embellished with fresh local produce. Unlike some chefs which have had a passion for cooking from a young age, I didn’t actually get into it till half way through my university years. I was doing a Degree in Business at the time and worked in a restaurant part time. The people loved what I cooked and I developed a passion for making good food. I decided then to pursue that and that's how it all began. Fresh seafood with an accent on health. I am a firm believer in eating healthy and keeping a balanced diet. Vegetables have been traditionally a fairly boring dish and most times growing up as a child they were overcooked and tasteless. For me, vegetables, if they are fresh, are such a pure food and I always like to find new and innovative ways to cook them and change that stereotype. The flavour changes a lot and is seasonal. I love fish and I’ll simply work with whatever the day’s catch is. For example, we have a Mahi Mahi on the menu today, just freshly caught from last night. With the sea just three minutes walk from the restaurant it doesn’t get any fresher than this. The grandma and grandpas of the world. I have a big respect for older people from all walks of life and from all over the world. They have so much to teach us especially when it comes to food and secrets of the trade. Best part of this business is the people you meet and the places you travel to. 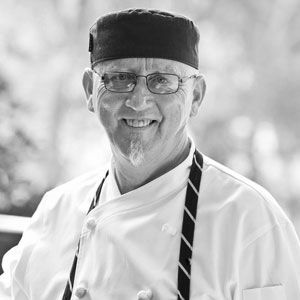 I’ve been fortunate to have traveled all around the world and worked in kitchens throughout Portugal, Indonesia, France, Vietnam and Vanuatu as well as in Fiji. Traveling also allows me to experience the tastes of other countries and that’s where I get my inspiration for my recipes. Chilli. I’m a big fan of chilli and lots of it. Some people can’t take spicy food, but I can’t live without it. Nelson Mandela. He is such a wonderful human being because after he was freed, he came out preaching love and understanding instead of revenge. What is your guiltiest fast food eatery? I never touch that stuff. I’ve had KFC once in my life and that was enough! I do love this one joint which does a great wood-fired pizza, but I wouldn’t consider that fast food. It’s called Milk and Honey in Mullumbimby in New South Wales. The style is classic with a hand made thin crust and best of all, the ingredients are local and fresh and the taste is amazing. Signature Dish: The cataplana of seafood. It’s a Southern Portuguese dish of local seafood and potatoes poached in aromatic light saffron and wine-infused stock with a hint of anise. It’s currently on the menu at Fins but the recipe is also in my cookbook Byron: Cooking and Eating so you can also cook it at home. It’s a great crowd pleaser especially if you use fresh seafood. Check out our AGFG Book Review on Steven Snow's Byron Cooking and Eating. 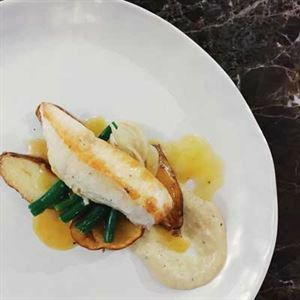 At Fins they cook food in an innovative and nutritious manner and achieve this by the judicious use of fresh local herbs, spices, wines and pastes. Their seafood is fresh, local and whenever possible is line-caught. 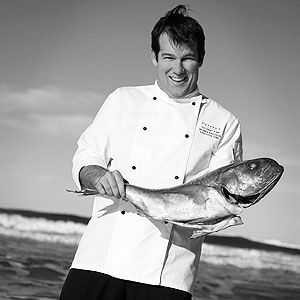 Fins cuisine is not traditional, but rather his interpretation of the best flavours and cooking methods discovered during his Australian and overseas travels. The seasonally changing menu may include: TIAN OF TUNA SASHIMI - Layered tuna sashimi with tobiko, shiso cress, white miso dressing and fish chips or FINS FISH - Glazed in dashi and green tea with black sesame tossed pumpkin, cauliflower puree and finger lime pearls.